Why Call An 18 Wheeler Accident Attorney You Can Trust? Did you know that despite increased safety regulations and awareness, truck accidents are still on the rise across our country? While they comprise less than 5% of all total vehicular accidents, they are still responsible for thousands of deaths every year, and over 130,000 serious injuries all across the nation. 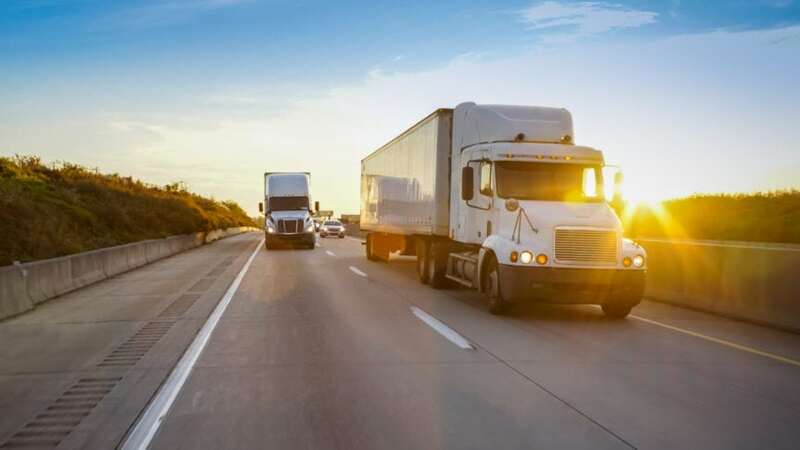 These accidents are also catastrophic in scope—in 74% of fatalities involved in crashes in large trucks, the victims are the occupants of another vehicle, according to the NHTSA. This is because of the size and scale of the accidents involved. As with any accident, if you suffer an injury after colliding with a truck, and it wasn’t your fault, you deserve to be compensated for the injuries you suffer. That’s why you need to call on the Heuser & Heuser Law firm, with 25 years of experience dealing with Colorado Springs area accidents. We are an 18-wheeler accident attorney you can trust. Truck accidents can be caused by any number of factors. Often, it’s driver error—the trucker was tired and lacking sleep. They were distracted for one reason or another. They may even have been drinking. In other cases, it’s because the truck experienced a mechanical failure. Sometimes it’s because of a sudden cargo shift that throws the truck off-balance. In still others, inclement weather can create hazardous conditions. Because these accidents are so varied, many different people can be responsible, from the driver to the trucking company, to the loading company, to the mechanics tasked with keeping the truck in good shape, to the manufacturers of faulty parts. This means that accident cases involving big rigs can get very complex, very quickly. You need someone in your corner who can hold the right people responsible and seek the compensation you deserve. When you’re hurt in a collision with an 18 wheeler, you can be eligible to receive compensation for your medical bills, pain and suffering and lost wages as well as lost potential future earnings. You may also be entitled to damages for pain and suffering, your emotional trauma, damage to your quality of life, your lost relationships and more. In very severe cases, you might be able to get punitive damages, usually if the driver was drunk or acting maliciously. Unfortunately, the parties involved and their insurance companies will go to great lengths to get out of paying you what the accident is worth. They’ll try to trick you into signing your rights away. They’ll attempt to bully you into agreeing to a fraction of the value of your claim. That’s where Heuser & Heuser comes in. We’ve spent 25 years battling these bullying insurance companies, and we know how to keep your injuries the focus of the case. We will fight for you, make sure that everyone remembers who the victim is, and we’ll get you the best chance at significant compensation for your injuries. We are an experienced and knowledgeable 18-wheeler accident attorney that’s in your corner. Give us a call today for a free case consultation or complete our online contact form.